EIGHT LED Lightbulbs only 32 Cents + Free Shipping. Valid only for Duke Energy Customers in The Following States: Indiana, Ohio, North Carolina and South Carolina. AMAZING DEAL for anybody that qualifies! 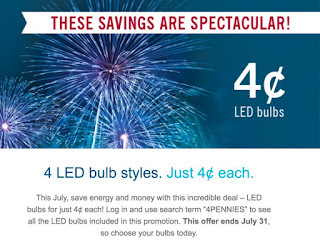 You can buy up to 8 lightbulbs, 4 cents each.